It has been our purpose for a long time to discuss the subjects of God's sovereignty and man's responsibility. The two subjects are often set in opposition to each other, as though they were mutually contradictory, rather than complimentary. Both are true, and they are found side by side in the Word of God. Parties and sects have been formed around each subject, while much heat and little light have been generated on both sides. A stormy controversy arose in the latter part of the sixteenth century between the followers of John Calvin (1509-1564) and Jacobus Arminius, whose real name was Jacob Harmensen, or Hermansz (1560-1609). The battle between Calvinists and Arminians is still going on. Calvin saw and taught the total ruin of man - that since Adam fell, all his posterity were born in sin and possessed a will opposed to God. Thus, Calvinism taught that mankind was hopelessly lost unless God stepped in and saved some, but that this He did, first by His own sovereign choice in a past eternity and then by giving them faith in Christ when they were living on the earth. "Free will" and "reprobation" are popular terms in two camps of Christendom. 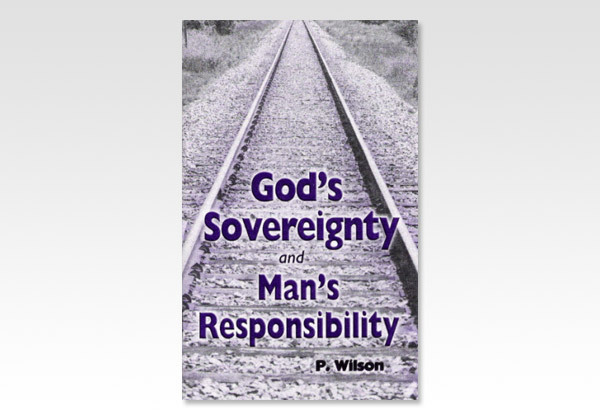 "God's Sovereignty and Man's Responsibility" shows that neither term is Scriptural and that both views misrepresent the great grace of God. This article, originally titled "Arminianism Versus Calvinism," is a response to A. W. Pink's work titled The Sovereignty of God.